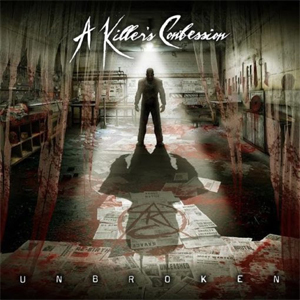 A KILLER'S CONFESSION, the new band led by former MUSHROOMHEAD vocalist Waylon Reavis is set to release it’s debut album April 28th via EMP Label Group, the label founded by MEGADETH bassist David Ellefson. Unbroken was produced by Reavis and the song “A Killer’s Confession” was co-produced with Thom Hazaert, with Engineer/Mixer Richard Easterling (AMERICAN HEAD CHARGE, DOLL SKIN, EMPERORS AND ELEPHANTS) at Richmond, KY’s Third Sky Studio. A KILLER'S CONFESSION consists of Waylon Reavis (vocals), Jon Dale (drums), JP Cross (bass), Matt Trumpy (guitar), and Paul Elliott (guitar). Reavis was co-vocalist for MUSHROOMHEAD from 2004 to 2015, and appears on the albums Savior Sorrow (2006), Beautiful Stories For Ugly Children (2010), and The Righteous & The Butterﬂy (2014), as well as other projects including TENAFLY VIPER, which also featured former CHIMAIRA bassist Jim LaMarca. "L.O.L. (Life Of The Lost)"